Is your organization falling short of skilled resources to provide you with subpoena transcription services? Does your organization have the right expertise and technology for subpoena transcription services? If any of your answers is a 'no', then the right step for your organization is to outsource subpoena transcription services to an experienced service provider. The service provider will not only provide you with quality services but also give you access to the latest technologies and skilled resources at an affordable cost. Outsource2india is one such transcription provider who can be your one-stop-shop for all your legal transcription needs. We have the required skills and expertise to provide you with quick and error-free subpoena transcription services. We leverage the latest tools and technologies and state-of-the-art infrastructure to deliver quality services to our clients. 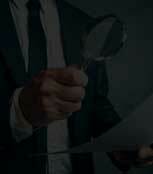 We have the required skills and expertise to provide subpoena transcription services for attorneys as well. The transcription services we provide can be a part of their research or delivered directly to the attorney. Our team can provide transcription services for subpoena which are issued by clerks. Our team of transcriptionists has the latest tools and technologies to provide services quickly and accurately. There are several subpoenas delivered to witnesses in a court case. Our team can provide the required transcription services for these subpoena within a quick turnaround time. Why Choose O2I to Offshore Subpoena Transcription Services? A leading Dublin-based client was looking for a reliable audio transcription services of mock counseling sessions. Our team provided services with an accuracy level of over 95%. 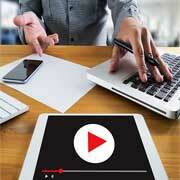 A US-based entrepreneur was looking for a partner who could help them with video transcription services. Our team at O2I successfully completed the project on time. 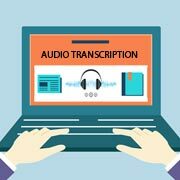 Not only are the transcriptions I've ordered very accurate, but the prices are extremely reasonable, the turnaround time is quick and the customer service is excellent! 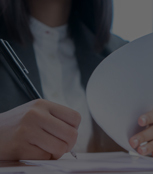 Outsource2india has been a pioneer in providing quality subpoena transcription services and a series of other legal transcription services to its global clientele. 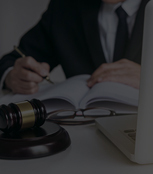 We leverage the latest legal transcription tools and technologies and the best infrastructure to deliver the best services. 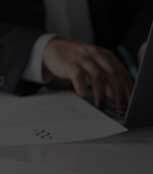 Our team comprises some of the skilled and qualified legal transcriptionists who can cater to any of the needs of the client and work with any file format. If you are looking for a reliable transcription service provider offering cost-effective, error-free, and quick subpoena transcription services in India, then look no further. Contact us today!